Traditional chrome finish twelve-light, two-tier chandelier, with a chrome frame and candle tubes. Height adjustable at the time of fitting, maximum height 1200mm. 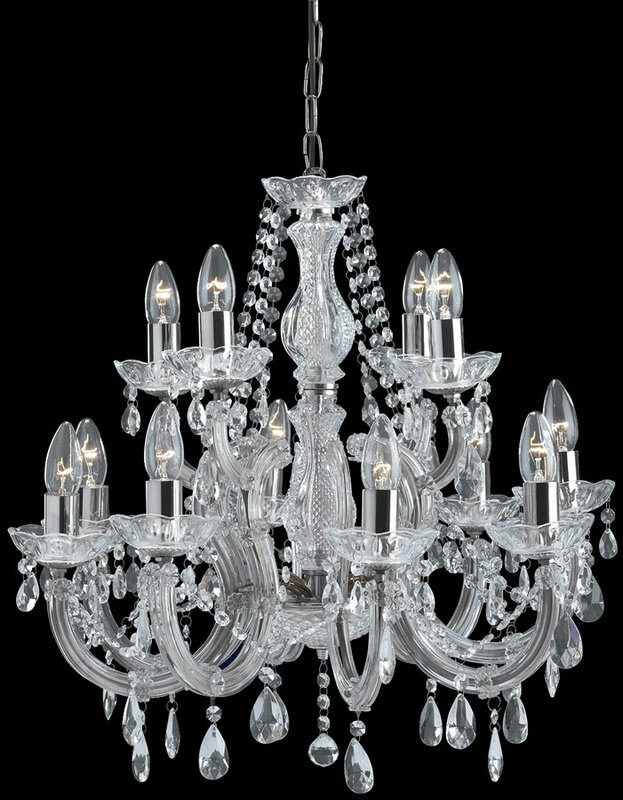 Please can you provide me with the dimensions for this chandelier? This chandelier measures 600mm in height, 630mm in diameter and has a maximum drop of 1200mm. Please confirm weight of this item, which parts are real crystal? 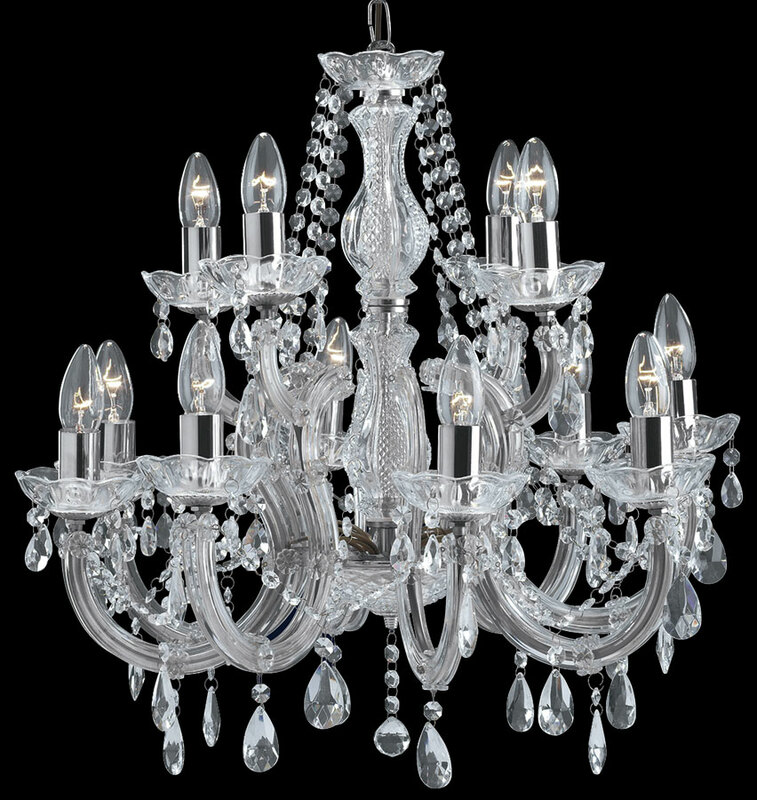 The weight of this chandelier is 6.18kg. The drops on this light are crystal.